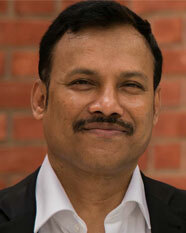 I am a Professor of Economics in Business Environment Area and at IIM Lucknow since 2005. Prior to joining the institute, I was with XIMB and TAPMI, Manipal for a brief period. I teach, research and conduct executive training programmes. I am a Professor of Economics and have been teaching Macroeconomic Environment, Managerial Economics to Post-Graduate students and International Trade, Policy and Open-Economy Macroeconomics to FPM Scholars at IIM Lucknow since 2005. I follow lecture method interspersed with real time data analysis of Indian as well as global economy. My research areas of interest are Monetary-Macroeconomics, Macroeconomics and Policy, and International Economics with a special reference to Indian Economy. It is more applied (empirical) in nature which is evolved through my reading of literature on Indian economy. I test atypical Indian macroeconomic experience(s) and outcome(s) through conventional analytical framework(s). My research papers and reviews have been published in international refereed journals such as, International Review of Applied Economics, Applied Financial Economic Letters, Economics, Management and Financial Markets, Transnational Corporation Review, Review of Radical Political Economics, Journal of Interdisciplinary Economics, Journal of Global Business Advancement, Journal of Asian Finance, Economics and Business and Kyklos, and in national refereed journals such as, Economic and Political Weekly, Journal of Indian School of Political Economy, Review of Development and Change and Global Business Review. I have been teaching Macroeconomic Environment and Managerial Economics to PGP students and International Trade, Policy and Open-Economy Macroeconomics to PGP and FPM Scholars at IIM Lucknow since 2005. I have also taught Money, Banking and Monetary Policy at TAPMI and part of Econometrics course at Department of Economics, University of Mumbai. While, I generally follow lecture method interspersed with real time data analysis of Indian as well as global economy, I use financial columns on Indian and Global experience as small caselets. I have obtained my Ph.D. in Economics from the Department of Economics, University of Mumbai under the auspices of RBI Monetary Economics Endowment Research Fellowship. My Ph.D. Thesis is on Essays on Financial Liberalisation and Macroeconomic Policy. My M.Phil. in Applied Economics is done at the Centre for Development Studies (CDS), Trivandrum, Jawaharlal Nehru University (JNU), New Delhi. Besides, being qualified for UGC-NET for Lectureship, I have completed B.Ed. with distinction.